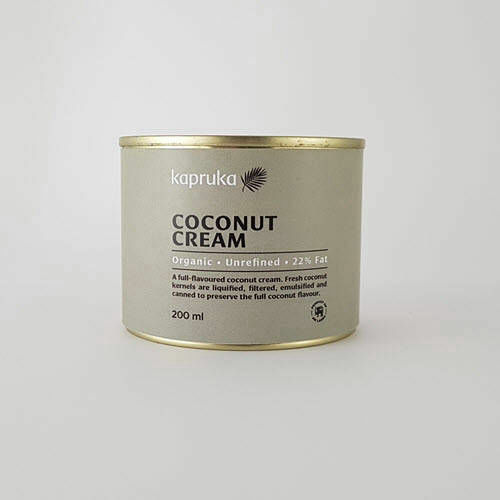 “Giving you everything you wish for” is not only the meaning of Kapruka, but also the promise of our remarkable organic range of coconut products. Exported from Sri Lanka already packed or in bulk, our specialised range of products is supplied directly to importers, retailers and manufacturers. Kapruka upholds the highest international quality standards in terms of where and how our products are sourced and made. We have established a solid network of people in Sri Lanka and South Africa who support and care about each other and our products; from the farm workers who pick the coconuts, to the producers who manufacture our products, and from our logistic team who manages our shipments to our sales and service professionals. Our commitment to deliver our quality Kapruka products on time and in budget is also matched by our product knowledge, expertise and the absolute passion we have for our clients, and in turn, their businesses and their customers. Pre-order now and get great discounts. "At Kapruka, we believe that one gets out what one puts in. This belief is manifest in the quality of the raw produce and natural goodness that goes into every Kapruka product. It also defines the mutual trust we enjoy with our farmers and producer partners, plus the love and care that we nurture in our relationships with our clients and customers." 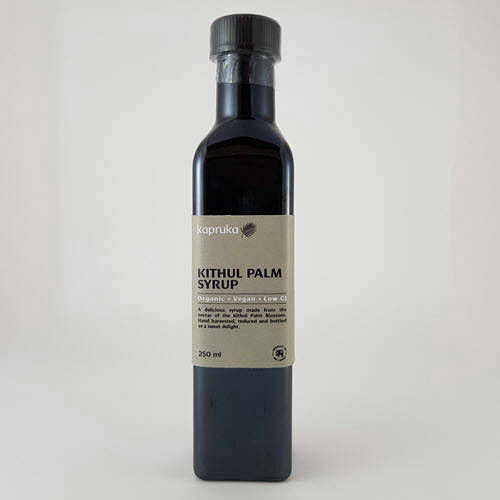 A nutritious syrup made from Coconut blossom nectar with a slightly caramalised flavour. No added sugar or preservatives. Pour over plain yogurt, waffles, pancakes and other confectionaries and desserts, or use as an alternative to maple syrup and honey. A nutritious condiment with a salty and slightly sweet flavour with hints of garlic, chili and onion. The selected nectar of the coconut flower is blended with salt and vinegar, fermented and aged. Use in stir fries, soups, marinades, and sauces, to brown chicken, or as a substitute for soy or Worcestershire sauce. 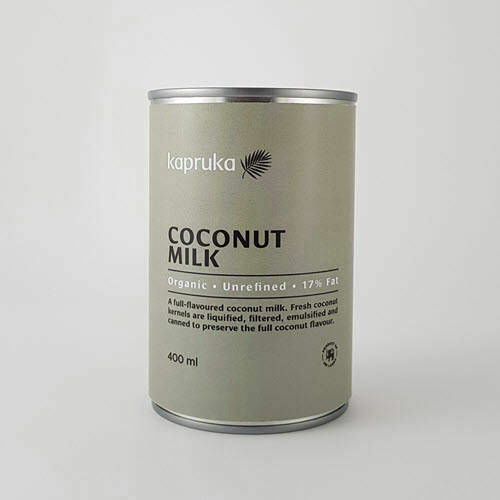 Fresh coconut kernels are liquefied, filtered, emulsified and canned to preserve the full coconut flavour. For cooking of curries, desserts, bakes and smoothies. Extracted coconut milk and water. A creamy butter, full of coconut flavour. Fresh fully-matured coconut kernels are shredded, dehydrated and stone-ground to produce a smooth butter, rich in energy. Everyday cooking, in smoothies or as a substitute to desiccated coconut in desserts. 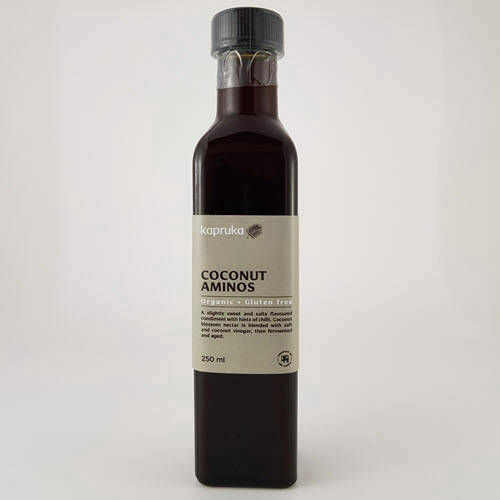 A smooth virgin coconut oil mild in flavour. Fresh coconuts are shredded, dehydrated, cold pressed and filtered to preserve all the natural nutrients and goodness. For everyday cooking, frying and baking, and as an alternative to butter or margarine. A rehydrating, naturally sweet coconut water. No added sugar or preservatives. Fresh coconuts are collected, defatted and quickly bottled to capture the freshness and natural goodness of the coconut’s minerals and vitamins. Best served chilled on its own or as a mix with ginger, mint, lemon or rum. Unrefined virgin coconut oil is made from fresh mature coconuts and captures in the freshness and nutrients of the fruit. deodorizing in order to make it suitable and palatable for human consumption. Refined odourless coconut oil has no taste and nutrient value except for the remaining fatty acids. 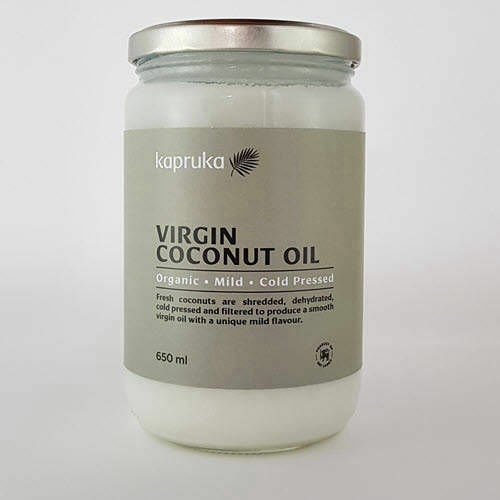 Although often misused in marketing and labelling, there is a definite difference between virgin and extra virgin coconut oil. 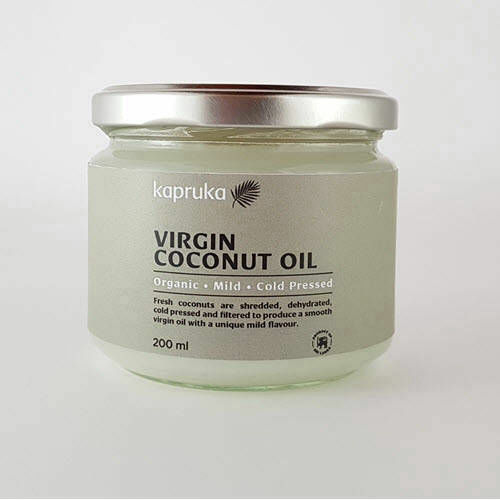 There is no heat applied in the extraction process of extra virgin coconut oil and is done by a centrifuging process. Low heat is applied during the extraction of virgin coconut oil by the expeller pressing process. As the name suggests, centrifuge is the process of spinning the shredded coconuts to separate the oil from the coconut. This process yields less oil than other processes so results in a more expensive product. The oil derived through the centrifuge process has a sweeter taste due to the fact that the coconut is not dried before processing. Expeller pressed coconuts are shredded and dehydrated at various temperatures before pressing; the higher the temperature the stronger the coconut flavour. The dehydrated coconut is then pressed to extract the oil. To be classed as virgin oil, the temperatures applied must be at a low heat. Coconut butter is a semi-solid unsweetened paste made from grounded dehydrated coconut flakes. Coconut butter is also known as creamed coconut and not to be confused with coconut cream, which is the thicker and richer form of coconut milk. into smaller pieces or melted before use. 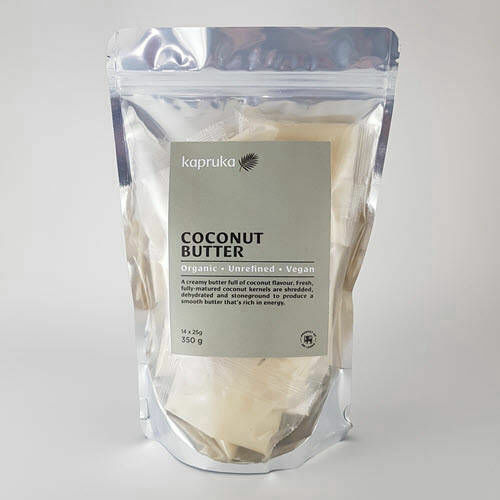 Kapruka’s creamed coconut comes in easy-to- use sachets. Coconut water is mostly extracted from the young green coconut. The green coconut is the same fruit used to produce coconut oil, milk, cream etc. when mature. King Coconuts are different; they do not use their water in their maturing process, and are used only for their water. It does not impact on the supply needed to make other coconut products. 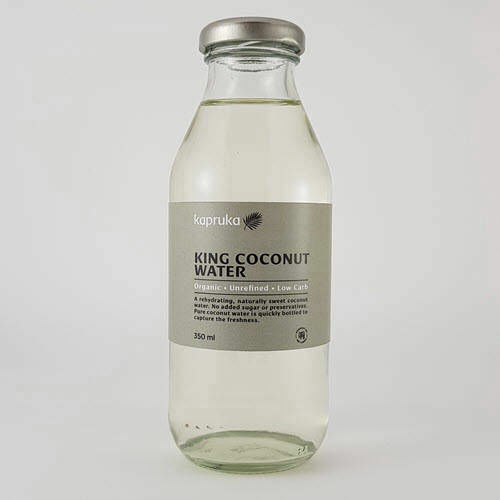 Indigenous to Sri Lanka, the King Coconut provides us with naturally sweet, rehydrating coconut water. The difference lies in the fat content. Coconut milk has a lower fat content and is often used in cooking where less fat is required. Coconut cream contains less water and has a higher fat content; making it ideal for creamier, richer dishes.